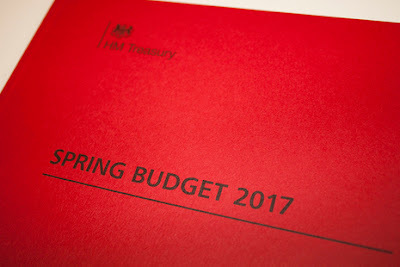 Rothbiz editor, Tom Austen, takes a look at the Spring Budget 2017. It was never going to include something as welcome and unexpected as a £7.6m grant for the restoration of Wentworth Woodhouse like the Autumn Statement but this year's budget really didn't contain a great deal. A lot fewer key announcements, and indeed pages, in the published document. The Chancellor, Phillip Hammond began with forecasts from the Office for Budget Responsibility (OBR) that show that the UK economy is expected to grow by 2% in 2017. Britain's growth in 2016 was second only amongst the major advanced economies, to Germany with employment reaching a record high of 31.8 million people. Hammond made a point of telling the house that unemployment has fallen fastest in Yorkshire than any other area in England. After covering borrowing and spending forecasts, the Chancellor moved on to the business of business stating that: "I am listening to the voice of business." The complex issue of business rates and the delayed reforms and revaluations has caused Governments a headache for years. The 2017 business rates revaluation will have winners and losers so £435m has been set aside to support businesses adversely affected. Building on previously extended small business rate reliefs, the chancellor is introducing additional caps for those coming out of small business rates relief due to a revaluation. It is highly unlikely that this will affect any small businesses in Rotherham where rates have not been revalued since before the recession. Local pubs are set for a £1,000 rates discount and councils are also set to be provided with a £300m fund to deliver discretionary relief to target individual "hard cases" in their local areas. The other headline announcement was the chancellor addressing the National Insurance Contributions (NICs) paid by the self-employed. With the new state pension, Hammond said that it was not fair that the self-employed paid less in NICs. The chancellor said he would always encourage and support "the entrepreneurs and the innovators who are the lifeblood of the economy" but Class 4 NICs for the self employed, which are currently at 9% and are paid on profits between £8,060 and £43,000, will increase to 10% in April 2018 and to 11% in April 2019. Also branded unfair was the tax breaks for Director/Shareholders with the tax-free dividend allowance to be cut from £5,000 to £2,000 with effect from April 2018. The Budget also focused on improving skills, in order to boost productivity and living standards over the long term. New T-levels for 16 to 19 year old technical students will be introduced from autumn 2019. Replacing the 13,000 or so, different qualifications, students will be able to choose from 15 different routes such as construction, digital or agriculture. The government will also provide maintenance loans for students doing higher-level technical courses at National Colleges and Institutes of Technology – like those available to university students. Maintenance loans will also be available for people entering part time degrees, and doctoral loans of up to £25,000 to support higher-level study. £90m will provide 1,000 new PhD places, including in science, technology, engineering and maths and £210m will create new fellowships. £536m was announced for new free schools and to maintain existing schools. The first details of the Industrial Strategy Challenge Fund (ISCF) were also announced which should fund joint research by industry and academia. £270m in 2017-18 "will kick-start the development of disruptive technologies that have the potential to transform the UK economy." On devolution, Hammond said that: "In May, powerful mayors will be elected in six of our great cities." This will not include the Sheffield city region where the mayoral election has been postponed for a year. On transport, no major announcements were made following the National Productivity Investment Fund (NPIF) being established in November. Some allocations have already been made and £690m more will be competitively allocated to local authorities, with £490m made available by early autumn 2017. £220m from the NPIF will go to "pinch points" on the strategic road network, with details of individual schemes to be announced by Department for Transport shortly.